Ready for arts and culture overload? (SPOT.ph) Ever since the late President Corazon Aquino signed Presidential Proclamation 683 declaring February as National Arts Month, the whole country has been celebrating the creativity and artistry of Filipinos for four exciting weeks each year. Local government units, university-based organizations, and other private institutions put up exhibits, performances, and other art-related activities to highlight our world-class talents. This 2018, more art festivals have been added to the slate, proving just how rich our country is when it comes to culture and heritage. Art Fair Philippines has been moved to March 1, so we have more time to prepare for Manila's biggest art exhibit. 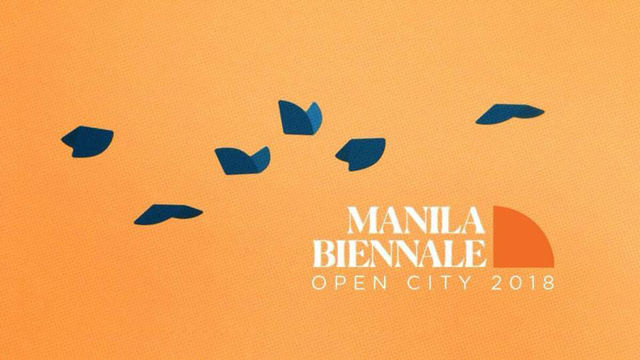 Manila Biennale joins a handful of festivals for National Arts month as a new tradition that will be repeated once every two years. It aims to fill all plazas, chambers, and museums within the Walled City with different forms of art—from curated exhibits to site-specific performances. Through this event, it hopes to bring back the glory of Intramuros as one of Manila's vibrant cultural centers. 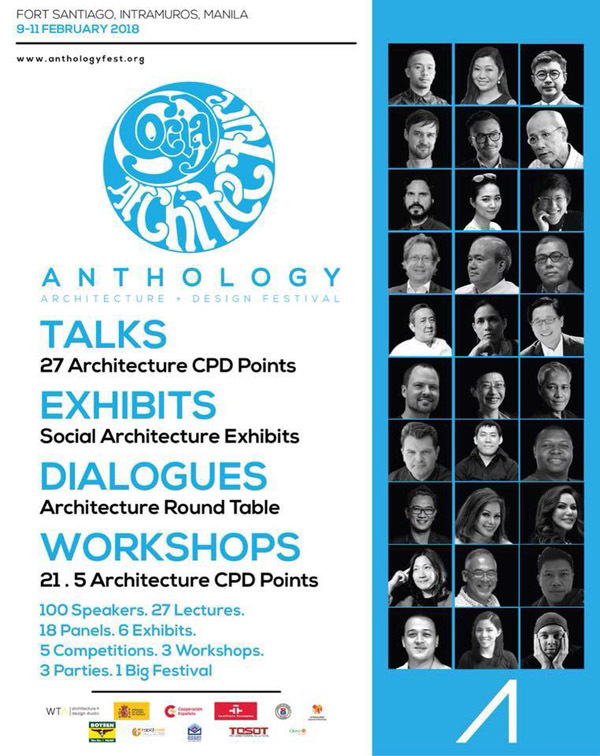 Since its inception in 2016, the Anthology Architecture and Design Festival has been at the forefront of promoting and developing Philippine architecture. Its first two runs covered "Stories About Architecture" and "Context and Intent"; and this year, it takes a community-based approach as it centers on the theme "Social Architecture." It expects 6,000 participants to join in various talks, exhibits, and dialogues that are all geared towards discussing the relevance of architecture in the social realm. 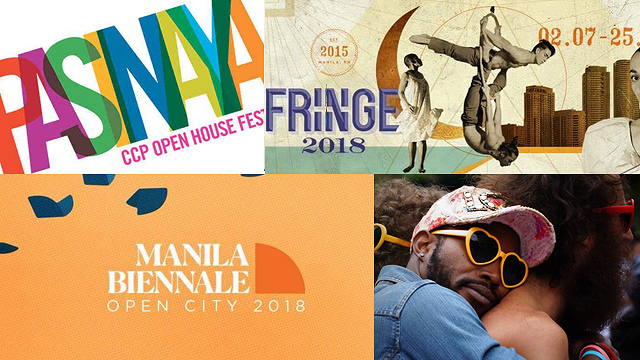 Modeled after the various Fringe festivals around the world, Fringe Manila welcomes artists, partners with untraditional venues, and presents unconventional shows for three weeks all over the Metro. 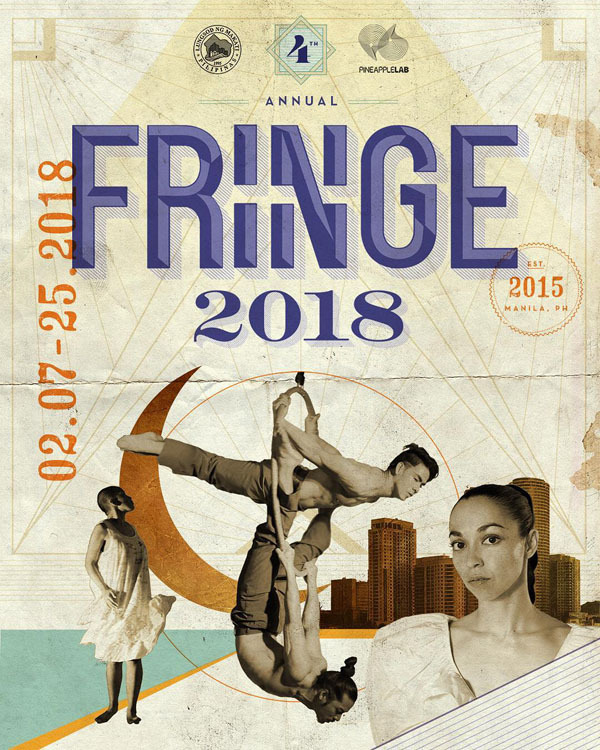 It is an open-access festival, which means that organizers behind it don't curate individual shows, but helps out through mixing and matching productions, performance spaces, and performers. Pink Shorts Art Festival is the LGBT component of the annual Short + Sweet, a festival of 10-minute plays which started in Manila in 2014. With the aim to "deliver a selection of contemporary stories of LGBTQI struggles and aspirations," it presents six short plays and six short films for its pilot edition. There will also be a party reception featuring local LGBT artists. 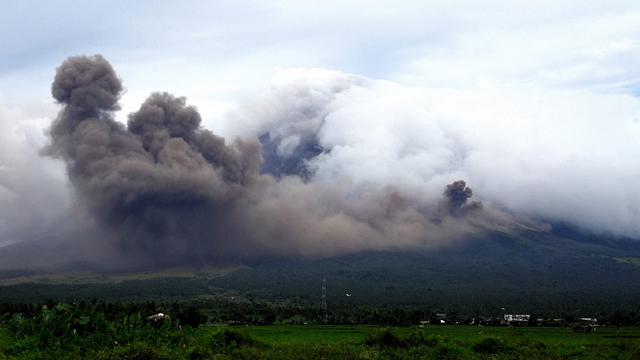 The Pasinaya Open House Festival has been receiving tens of thousands of guests since it started in 2004—and for a good reason! 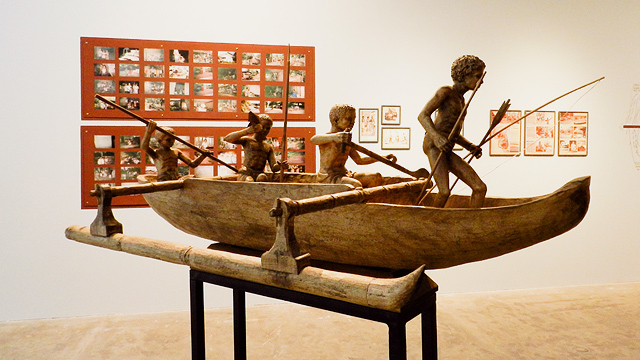 This once-a-year event hosts simultaneous theatrical performances, concerts, exhibits, film screenings, and other forms of art in the Cultural Center of the Philippines' every nook and cranny (and even in nearby museums and galleries). The festival also works on an "Experience All You Can, Pay What You Can" scheme, which means you pay how much you think the experience is worth.